This is a print of my original, handmade Cannock Chase textile piece. It is digitally printed onto a high quality, 100% cotton tea towel. The tea towel measures 48 cm x 76 cm and is an all-over (edge-to-edge) print. I created the original handmade piece using my unique style of free-motion embroidery. 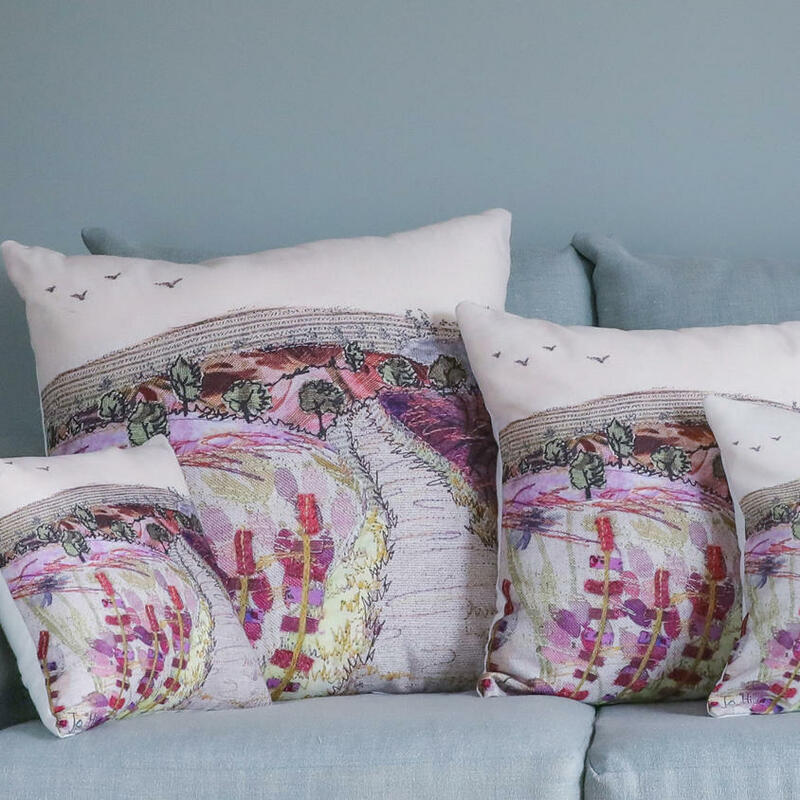 The gorgeous pinks, purples and greens of the heather and grasses were recreated in appliqué and stitch. This is a beautiful way to bring a little bit of nature into your home!